Sacred Heart was founded in the year 1967 in Detroit Michigan by Father Quinn. The center started its medical detox program in 1972 and in 1976 began to provide care for men and women battling with addiction. The center became accredited a few years later and began its outpatient program in Detroit. 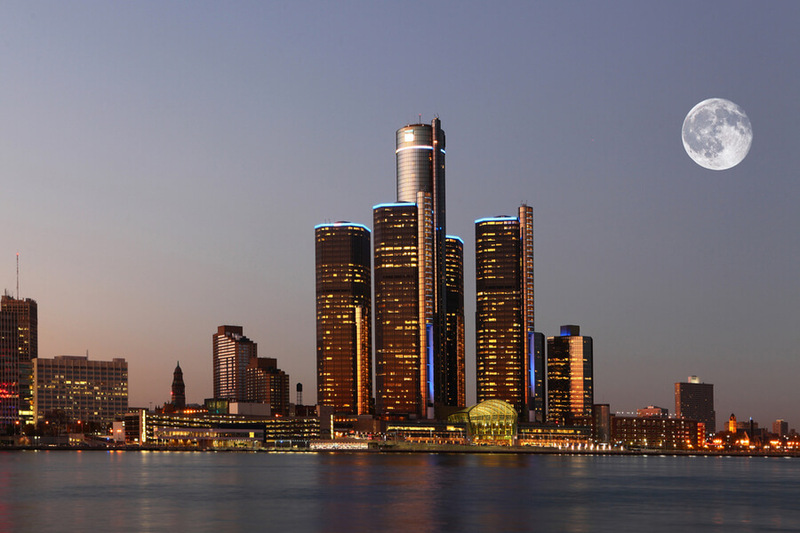 By the early 2000’s the center had sold its properties in Detroit and relocated its residential headquarters to the Richmond site. Currently, Sacred Heart has numerous facilities scattered across locations in Michigan including outpatient centers in Algonac, Bay City, Flint, and other areas. The center provides cost-effective and evidence-based treatment to individuals suffering from behavioral health and substance dependence issues. The center bases its philosophy on a blend of 12-step principles and professional therapeutic strategies. For many clients, a bio-psycho-social evaluation is offered which results in the determination of the right type of treatment. Support and treatment are individually tailored to meet the needs and wants of clients at the center. Sacred Heart provides medication-assisted opiate programs for adult men and women partaking in the outpatient program. The facility combines the use of cognitive behavioral therapy, motivational enhancement techniques, and methadone administration in this program. At the Serenity Hills program and the Richmond campus, various medically supervised detoxification services are provided for clients struggling with substance addiction. Residential, outpatient programs and Women’s Specialty Services are also offered by the facility in locations such as New Haven, Flint, and Richmond. The facility’s property has a recently built female-only wing for adult women 18 years and older. Sacred Heart also provides care for mothers and expectant mothers. Residents usually receive detoxification services in their houses for convenience. The facility is located in a rural environment which helps clients to eliminate distractions and focus on full recovery. Although personal electronic devices are prohibited at the facility, residents are provided with phones for authorized and limited calls. Food, personal linens, valuable items, credit cards, and sharp instruments are not allowed at the facility. Clients are required to bring enough clothing for a week. The facility’s bedrooms are styled like dormitories and properly furnished. Private rooms are unavailable for residents and twin-sized beds and bunks are provided in the bedrooms. Laundry services are available on-site and the facility also provides a kitchen, refrigerator, and a dishwasher. The staff at the facility provides clients with government-approved meals that adhere to national guidelines. The center offers detox services at the Serenity Hills program and the Richmond Campus. The program provides a safe, medically supervised detox process which helps to ease the physical and traumatic symptoms of withdrawal. The program offers opiate detox services and utilizes treatment techniques involving the use of buprenorphine and methadone. The residential treatment program is designed to meet the individual need of each client, break the cycle of addiction, and lead clients on the path to long-lasting recovery. This level of care consists of individual therapy, lectures, recreational activities, and self-help groups. The facility’s outpatient program holds locations in New Haven, Port Huron, and various other locations. This program may act as an option for clients who wish to continue their care after completing the residential program or an alternative to the inpatient treatment program. Clients will undergo group therapy, 12-step program, coping techniques, individual therapy, and specialty groups. Sacred Heart Rehabilitation Center uses the sliding scale method for payment of treatment by clients which means, clients that earn less pay relatively less and clients that earn more, pay the actual stipulated fee. The sliding fee scale is for clients without insurance coverage or benefits that don’t cover the cost of treatment. The facility takes all patients, and those without the ability to pay have the option of a Prepaid Inpatient Health Plan. The cost of treatment varies greatly depending on the program in which a client is registered into. Clients are advised to call the facility as the admissions staff are available to help with payment plans and insurance benefits. HIV/AIDS care is offered at this rehabilitation center which is not the norm for other facilities. The facility has a business center which allows for patients to access the internet and fill out any information required of them, insurance or otherwise. A media room is also available to clients during recreation or free time, patients are allowed to watch the television between 6 pm and 8 pm respectively and the programs showed are very limited. Recreational activities such as yoga, mindfulness meditation, and many more are offered by the facility. In its entirety, the facility offers a well-rounded and comprehensive program for clients seeking treatment from mental health and substance abuse issues. Its strategic location allows clients to have a refreshing experience at a facility and focus on their individual recovery. The center offers different programs to suit the needs of individuals as Sacred Heart is well aware of the fact that each patient is different and have various unique needs. Estee holds a Bachelor’s degree from the Michigan State University majoring in Advertising. Before joining the facility, she worked in the Marketing Services department at Americare Home Medical Care. Prior to holding the position of Vice President of Marketing, She served in different capacities including Community Relations Specialist, Marketing Services Coordinator, and Integrated Marketing Coordinator. Warren holds a Bachelor’s degree from the Central Michigan University majoring in Sociology, Speech/Psychology and a Masters of Arts degree from the same university majoring Clinical Psychology. Prior to holding the position of Chief Operating Officer, he served as an Outpatient Program Leader.